The paintings are beautiful…even the photographs are beautiful (and selling) ! 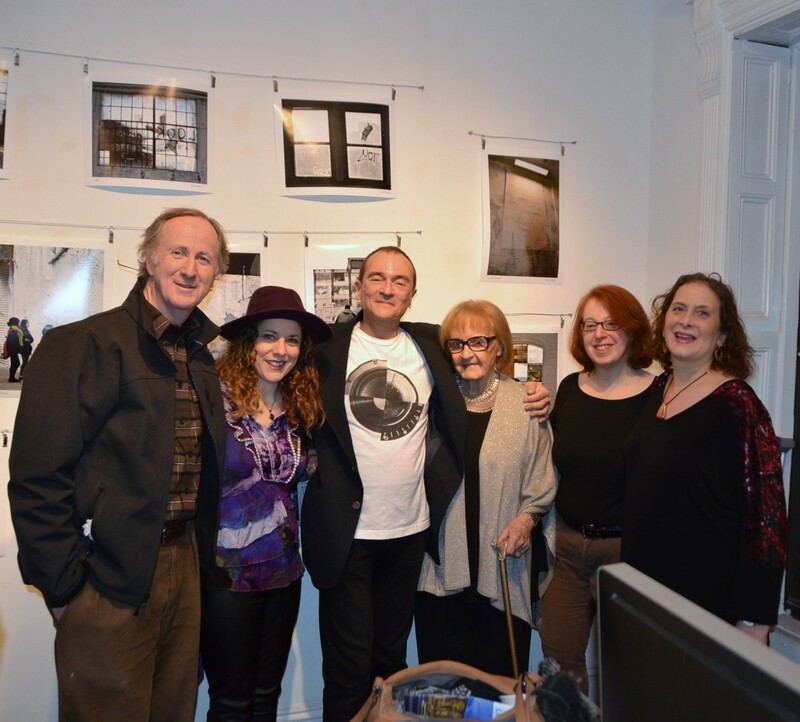 My dear friends Tom Orzo, Mindy Cassle-Rosato, of course Mom, Deborah Blau and Frederica Meister all came for the grand opening party of the 5 Pointz “Whitewash” exhibit that I am a part of! Why don’t you join the ranks of graffiti lovers, street art lovers, preservationists and the passionate and check out my 16 photos along with the fantastic works of artists Auks, Cortes, Jerms, Just One, Meres, Orestes, Shiro, See TF, Topaz, Zimad, Hunt Rodriguez proving art is forever! A mourning and celebration of the destruction of the world’s most spectacular street art museum. $20 catalog available for sale in the gift shop. Come see the exhibit till June 8 at the Jeffrey Leder Gallery: 2137 45th Road, 1/2 block away from the #7 & G Court Street subway station. Two blocks away from 5 Pointz and MOMA’s PS1. Open 12 noon – 6pm. Happy to see you, bleibe, reste, spray paint! This entry was posted on April 11, 2014 by newyorkcityinthewitofaneye. It was filed under DAILY PHOTOS WITH STORIES OF NEW YORK CITY and was tagged with "WHITEWASH", 5 Pointz, 5 Pointz Graffiti Museum, 5 Pointz white washed, 7 train, architecture, arts, Auks, Cortes, Deborah Blau, entertainment, Frederica Meister, graffiti, Hans Von Rittern, Hunt Rodriguez, Jeffrey Leder Gallery, Jeffrey Leder Gallery 2137 45th Rd. Long Island City, Jerms, Jerry Wolkoff, Jonathan Meres Cohen, Just One, Long Island City, Manhattan, Marie Cecile Flageul, Meres, Mindy Cassle-Rosato, Mindy Csssle, New York City, New York photo, Orestes Gonzalez, Photo of the day, photography, Ray Rosato, See TF, SHIRO, Tom Orzo, Topaz, Ursula Von Rittern, whitewash of 5 Pointz, whitewashing of 5 Pointz, Zimad.